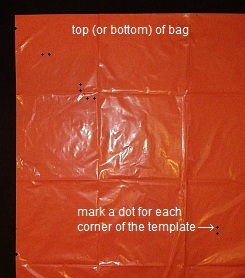 This set of instructions on how to build a Delta kite assumes you know absolutely nothing about kite making. You might already have some of the simple tools and materials required. Anything you don't have is easily bought. If not exactly what I used, then at least something pretty similar! The MBK 2-Skewer Delta Kite Mk2 (or just 'the 2-Skewer Delta'!) 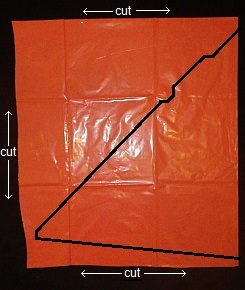 is a medium-sized kite 96cm (38”) across and 54cm (21”) tall. A tail is optional, if you like the look! 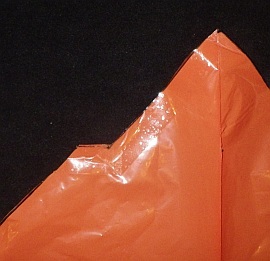 The spreader is secured at each end with polyester sewing thread and glue, since glue alone would not last long with all the flexing that goes on. 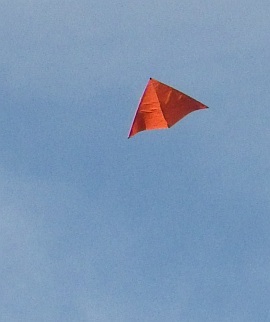 The 2-Skewer Delta is a nice very-light-to-light wind flier. Take it out when there seems to be hardly enough wind to keep any kite up. Retail kites like a little more breeze, generally. Watch the 2-Skewer Delta go straight overhead when a thermal comes through, no matter how much line you have let out. I have tested this delta in moderate winds too, and it is quite tolerant of winds up to 30kph. Don't be surprised to see it flap a few times though, or even pin its wing-tips back like a diving bird of prey! 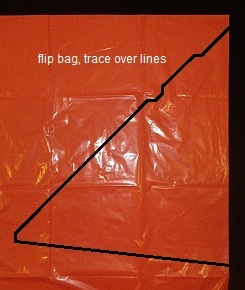 Cut out a rectangular section of the bag containing the kite sail, open it out and lay it flat on the floor. You can now see the complete sail outline, as in the wider photo. 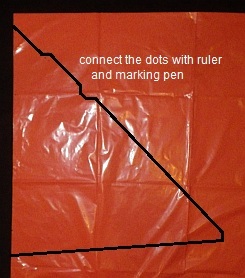 Except for the long edges of the tabs, run clear sticky tape along every straight line. 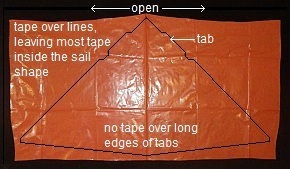 Leave most of the tape on the inside of the sail edges. 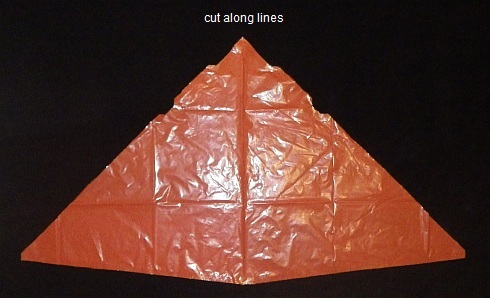 Cut along the black lines with scissors, to create the sail. See the photo. In the close-up photo, you can see the tape edging around the nose area. But not along the long edge of the tab.